Our Moring Trip, offers daily depending of weather condition. Nicely with the early trip for snorkeling and explore the environment of the island Koh Tao, with the fist spot is Freedom beach, Shark island or Shark bay, Aow Leuk, Hinwong or Lighthouse bay, Mango bay (Aow Moung) and the last stop at Nangyuan island. 09:30 am. Our taxi service will pick up you at your resort/ hotel. 13:30 am. Mango Bay, one of the spectacular beaches you can explore, this Amazing bay is full of friendly and colorful fishes.And enjoy your lunch on board and fresh fruits. 14:00 pm. Snorkeling at Hin Wong bay or Light house bay, many species of soft and hard corals. 15:30 pm. Snorkeling at Aow Luek. One of the most beautiful beaches you can swim or jump in crystal clear water surrounded by fish. 16:00 pm stop at Shark bay snorkeling with black-tip shark. 16:30 pm. Get to time to return back to the main pier Mae Haad. 17:00 pm. Our taxi services drive you back and drop off at your hotel/ resort with unforgetble trip. Trip start daily from the main pier, our taxi car will pick up you at your resort and drop off at our check in area before boarding. -If you have sickness, or illness please try to do the trip next time. -5 Stops of the weather per meting. Pick up time, our staff will let you know again by confirmation. Available booking online 24 hrs, please read our policy before made booking. Our free taxi will not able to services for other island such as Samui or Phangan. 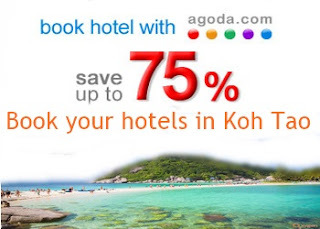 Customer must be here on time by yourselves or stay in Koh Tao only!